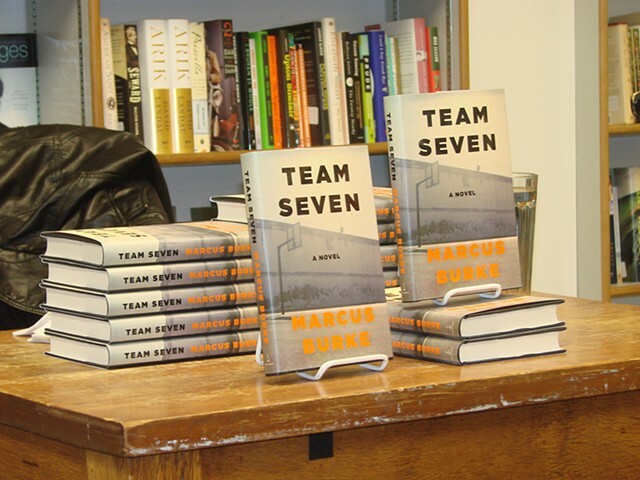 A rich and vividly rendered portrayal of the complex realities of black inner-city life, Marcus Burke's debut novel TEAM SEVEN offers a powerful and honest coming of age story, introducing an unheralded new voice into the world of contemporary African-American fiction. Born in a rough neighborhood outside of Boston to a determined, Christian mother and a drug-addicted father, young Andre Battel finds himself at a crossroads in TEAM SEVEN as his talents as a basketball player give him the chance to prosper, but his involvement with local drug-dealers makes his life increasingly dangerous. A first generation Jamaican and Costa Rican American, Andre's story unfolds over the course of his adolescent and teenage years--through his own eyes as well as the shifting perspectives of a broad cast of vibrant multi-generational characters. Their daily struggles with love, loyalty, and loss are brought to life via the charismatic members of the Battel clan, the Team Seven squad, and local corner boy kingpins Reggie and Smoke. A dramatic journey through the streets of downbeat Boston--from the thumping music to the burning blunts--TEAM SEVEN maintains an undeniably authentic feeling for location and language, all while delivering a universal story about what it means to be poised between youthful innocence and the realities of adulthood.